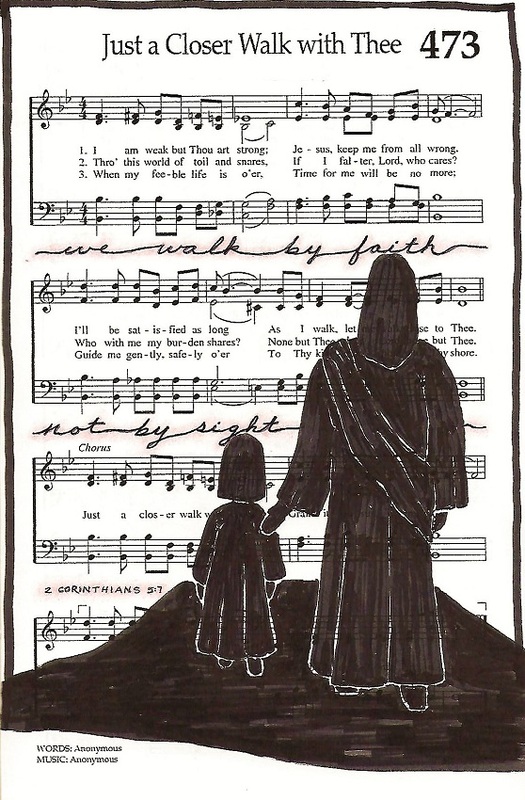 For our hymnal art this week we were assigned Christ the Lord Is Risen Today, a celebration of Easter. I was carried along by all of those Aleluias at the end of every phrase! I used principles learned in the Whimsical Sketching class to combine flowers that I have taught in the Drawing Room at creative-bible-journaling.com. I used a wide gray line on the left and bottom of each element to make them raise off the page. I know many people would say this is their favorite hymn. 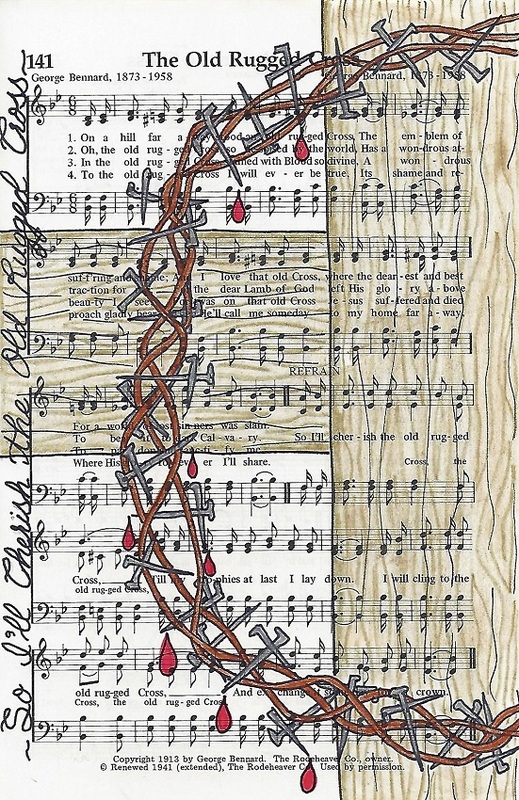 I am working again in my hymnal to create art that reflect the theme of the song. 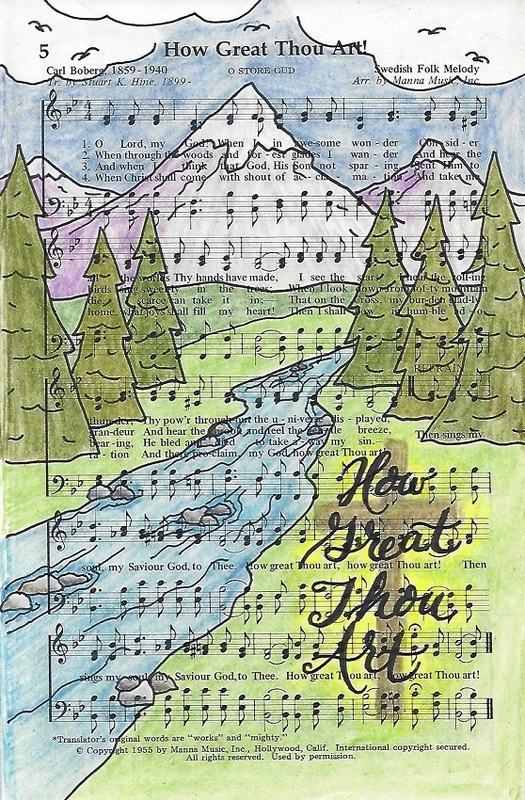 This week it is 'HowGreat Thou Art'. I used fine-line markers and colored pencils to create the scene with elements mentioned in the lyrics. I really like how this one turned out, too. 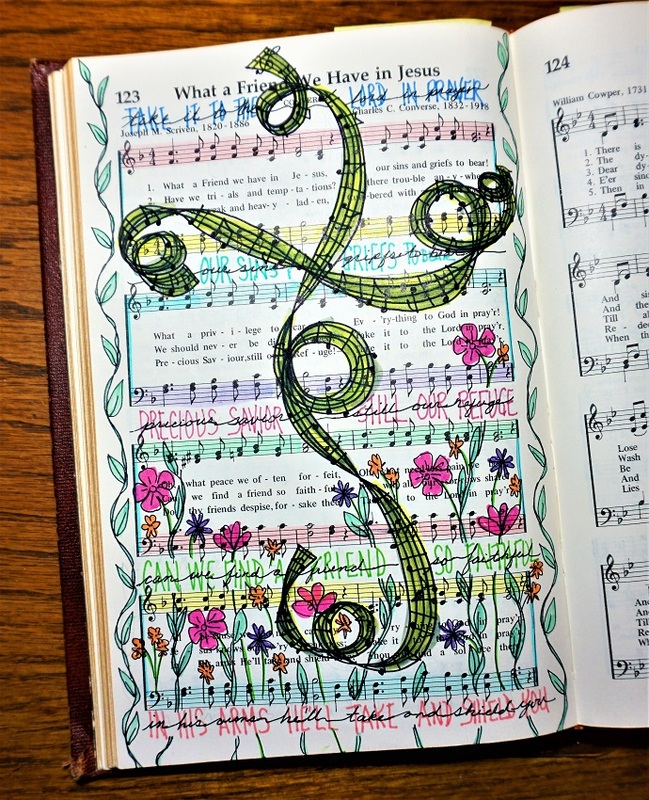 I broke away from my usual style for the illustration of 'What A Friend We Have In Jesus' in my hymnal. There were so many phrases that I wanted to highlight that I did them all! It turned out pretty busy but it is not hard to focus in on different parts to isolate them. This work was all done with markers. 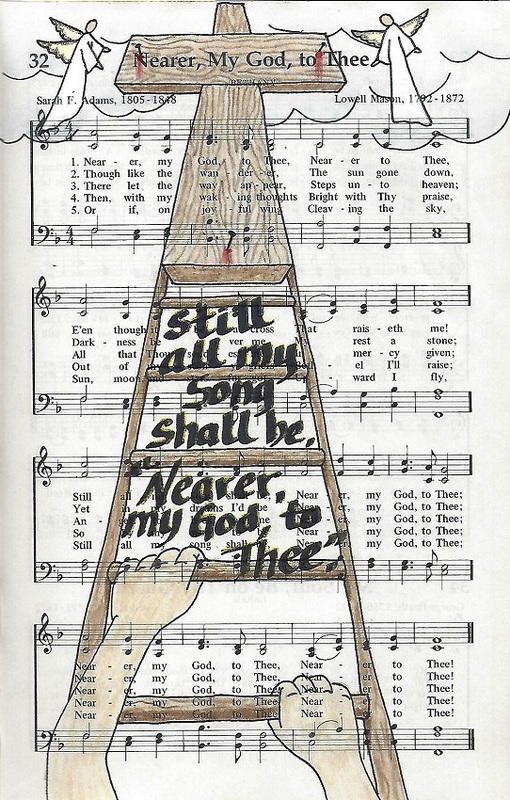 I have been doing more artwork to illustrate songs in my hymnal. In the history of this hymn we learn that some of the lyrics are referencing Jacob's ladder. Knowing that, I got a picture in my head of climbing a ladder to get closer to God's kingdom, through the cross. The angels are mentioned in the lyrics as well. Other than the lettering (which is brush marker) and the line-art (black Prismacolor pens) the illustration is completed in colored pencils.